Need a cute Halloween decoration for your home or classroom? This project uses a brown paper bag and there are patterns included for the wings, feet, eyes and beak. Patterns have multiple repeats for classroom copies. 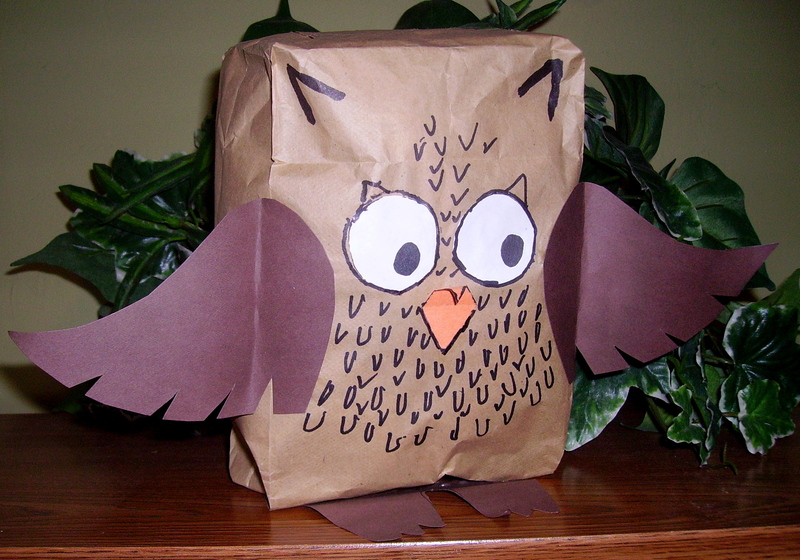 Find this project, “Paper Bag Owl,” in the Halloween Projects Gallery in the sidebar. This entry was posted in Halloween and tagged brown paper bag, halloween crafts, halloween crafts for kids, halloween decorations for kids to make, halloween decorations for the classroom, halloween projects for kids, lunch bag, paper bag, paper bag owl. Bookmark the permalink.